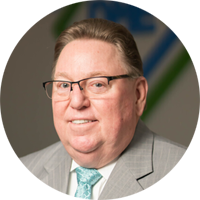 Jim Donnellon, CEO of Donnellon McCarthy Enterprises (DME), has been in the office technology industry since 1975 when he joined Donnellon McCarthy, Inc. Jim’s interests include spending time with family and friends, golfing and fishing. Jim is an avid sports fan, specifically when it comes to Ohio State Football and the Cincinnati Bengals. Jim George, President of Donnellon McCarthy Enterprises, has been in the office equipment Industry for almost 20 years. His interests include spending time with his family, fishing, traveling, watching sports and skydiving. 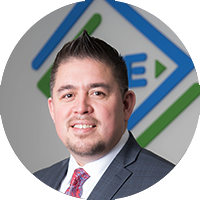 He is involved in his church and giving back to the veteran community. Jim served in the US Navy during Operation Desert Shield and Storm. He is fluent in German and spent a total of 17 years in Europe. 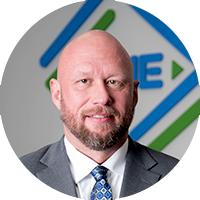 Rich Brandenburg, Senior Vice President of Sales, has been in the Industry for 15 years. He has a passion for being involved in the community. He is an active member of the Big Brothers Big Sisters Organization and helps coach local youth sports. Born and raised in Cincinnati he enjoys spending time with his wife and kids. 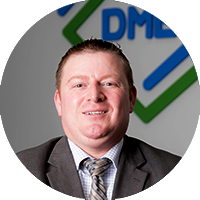 Tony Donnellon, Vice President of Operations at Donnellon McCarthy Enterprises, has been in the industry for almost 18 years. His interests are spending time with family and friends, watching sports, hunting and fishing, not to mention his enthusiasm for technology. Tony is highly involved in helping people on a daily basis at work and around the community. 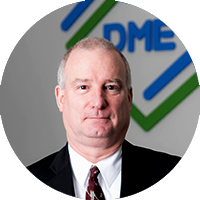 Steve Deutsch, Vice President of Service for Donnellon McCarthy Enterprises, has been in the office equipment industry for 34 years. Away from work, he enjoys woodworking, hunting and biking with his wife. Over the years, Steve has been active in scouts and youth soccer. 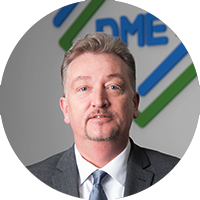 John Daniels, Vice President of Administration and Finance, has over 15 years providing management and financial services. He is an avid sports fan, particularly college football and basketball, where he cheers on the Kentucky Wildcats. He enjoys spending time with his children and coaching youth sports.